Now that I have a bit of time for making some Art again, one thing that I wanted to do for audio week was a commercial for #ds106 and True Friends. I think that #ds106 is a great way to find enthusiasm and creativity and energy and fun, and it is a great way to have True Friends, too. 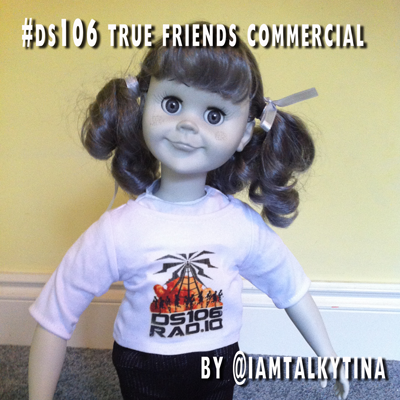 So I made a radio commercial for #ds106 and True Friends. Here it is. Once I got my mic working again, it was an easy thing for me to make it in short order. To make it work really well, I found a nice piece of gentle music on Jamendo to have in the background. It is a nice song by Oscar Avila called nenezko-es-princesa from his album Nenezko, cuaderno I and is shared with the public under CC BY-NC-SA 3.0 which is a nice thing for a Friend to do. I think that many new Friends will start #ds106 because of my commercial and I will get some more True Friends, too. 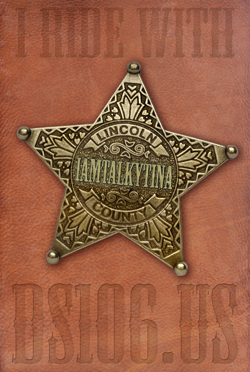 This entry was posted in Audio, ds106, friends and tagged commercial, ds106, ds106radio, friends, Jamendo, Nenezko cuaderno I, nenezko es princesa, Oscar Avila, True Friends on October 17, 2013 by iamTalkyTina.